University of Florida College of Journalism and Communications student journalists were recently recognized at the 2018 Florida Associated Press Broadcasters Conference in Orlando. The annual Florida AP Broadcasters Competition is divided into professional and college categories. In the professional competition, students’ entries are judged alongside professional broadcasters. The 2018 professional contest received 597 entries from 37 broadcast organizations. In the college division, students compete with their peers from other colleges and universities. Five colleges submitted 48 entries for the 2018 awards. 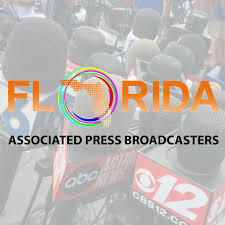 The Associated Press, a not-for-profit news cooperative representing 1,400 newspapers and 5,000 broadcast stations in the United States, sponsors the annual Florida competition.